There is a growing interest within governments, employer’s organizations, worker’s organizations, public, national authorities, industry sectors, multi-national companies, single enterprises and professionals in Certificates of Professional Qualifications (CPQ) as a tool that has the potential to make a meaningful contribution to resolving the employment crisis and the prospect of developing a well-trained and productive workforce. We understand that communication between education and training systems and labour markets is crucial. Thats why Public and private employment services respond to this trend by gradually changing from an occupation-focused to a skills and competence-oriented approach. However, the European Union is formed by 28 Member Estates and each ME has different qualifications levels and different education and training systems and labour markets and are developing this change in different ways and rhythms. ANCCP aims to improve expertise in the field of CPQ in different European Member Estates through the analysis and by promoting the exchange of information and experience among relevant actors as part of a strategy to provide European social partners with material on the specific challenges of the implementation and introduction of CPQ in their political / committee agenda’s. 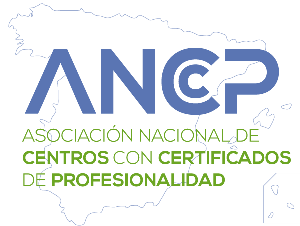 ANCCP is the National Association which represents the Spanish Training Centers approved by the Spanish Ministry of Work and Social Affairs to issue Certificates of Professional Qualifications. This instrument officially accredits professional skills that enable the development of a work activity and assures employers, customers, students, and the public that the certificate holder is competent and professional in a specific activity. 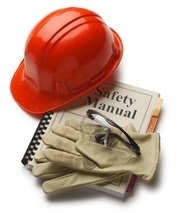 The ANCCP is part of the Spanish Confederation of Employers and Industries (CEOE). CEOE is the organization which represents and defends the interest of Spanish employers and act as economic and social partner to the Government, the Public Administrations, the trade unions, the political parties and the international institutions. CEOE is part of BUSINESS EUROPE NETWORK and participates actively in the European Education Sector. This fact give us the opportunity of having voice in Europe within Education issues related to Certificates of Professional Qualifications. The ANCCP is formed by accredited training centers that impart Certificates of Professional Qualification within the 26 professional families that currently exist in Spain. The origin of all ANCCP member organizations is the result of the European Qualifications Framework (EQF) which acts as a translation device to make national qualifications more readable across Europe, promoting workers’ and learners’ mobility between countries and facilitating their lifelong learning. The EQF aims to relate different countries’ national qualifications systems to a common European reference framework. Individuals and employers will be able to use the EQF to better understand and compare the qualifications levels of different countries and different education and training systems. Since 2012, all new qualifications issued in Europe carry a reference to an appropriate EQF level. ANCCP is represented in all Spanish regions, including Ceuta and Melilla. These training centers should meet high requirements in order to become Official Centers that issue Certificates of Professional Qualifications, both in terms of material endowments, facilities, and methodological and qualified staff. The activities of our association cover a wide range of fields such as education in environment, renewable energies, ICT, gender equality issues, tourism, trade, security and education for adults, youth and disadvantaged groups among other, issuing official certification. ANCCP is governed by the Board including President, Ana López-Cancio Romo; Vice-President, Juan José Piñuel Cabedo; Secretary, José Manuel Barreiro; Treasurer, José María González del Valle y Pravia; Iván Aitor Lucas del Amo and Manuel Juan Filgaira Sánchez. The most important decisions are undertaken by General Assembly. To promote and coordinate the activity of its members to improve the defense of its rights and interests with the Administration and other organizations at national and international level. ANCCP is trying to reach all of these goals through collaboration with the Government, industry and appropriate organisms to establish good working practices and codes of conduct within competency frameworks and standards. What is our roll in Europe? ANCCP aims to create a European Network formed by Organizations, Agencies, Chambers of Commerce, Training and Educational Centers and Enterprises which activities are related to Certificates of Professional Qualifications. 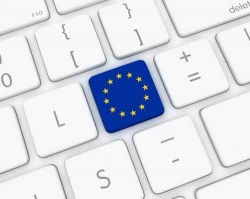 To establish ‘Business Cooperation Network’ in order to form a unique European Network of excellence facilitating business cooperation, technology transfer and research collaboration in the field of the European Certificates of Professional Qualifications. 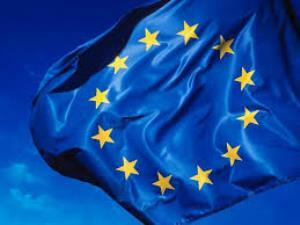 To position the Association within the European Educational Sector. To promote social dialogue at cross-industry and sectoral level by sharing collaborative strategies to facilitate communication among European and international training industry and social partners engaged in Certificates of Professional Qualifications. From ANCCP we are sure that this reinforced cooperation will have positive effects in developing the potential of Europe’s human capital by developing a well-trained and productive workforce through. On the other hand, some of our associates have managed European projects in the past as leaders and as partners for over 20 years, and have a solid demonstrable experience in the field of education, training and social dialogue.